Presidentialism and Executive Stability in the Pacific Islands: Quick fix or long-term solution? As outlined in my recent blog post on Marshall Islands, executive instability has become the salient feature of democratic politics in the Pacific region over the last two and a half decades. In particular, given the relative absence of institutionalised political parties, commentators regularly bemoan the side switching, party hopping or ‘grass hopping’ of expedient MPs who frequently topple governments in pursuit of personal advantage (usually control of ministerial portfolios). In most cases, this feature of politics is interpreted as a problem particular to the way Westminster has been transferred, with reformers often extolling the relative executive stability of Presidential systems when canvassing alternatives. Of course, there is a great variety of presidential and semi-presidential systems in the Pacific some of which, like Nauru which uses the terminology but is basically Westminster in practice, has very high rates of executive turnover, just as conventional Westminster systems, like Samoa, can be the most stable. 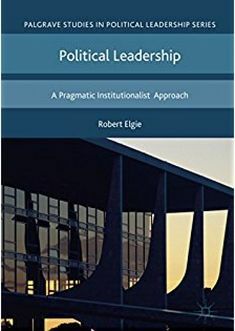 Nevertheless, here I consider some of the pros and cons associated with adopting the ‘purer’ forms of presidentialism, as modelled in the former United States Trust Territories of Palau and the Federated States of Micronesia (FSM). Palau is the only Pacific Island nation to have a directly elected president. Kiribati also holds direct presidential elections but the candidates are first chosen by MPs from amongst their membership and once elected the president remains a member of the legislature. In FSM, the president is also elected by MPs but once sworn in their seat is declared vacant and so they govern as per a conventional separation of powers. Presidents of Palau and FSM are also free to appoint ministers from outside of parliament, which means they and their cabinets enjoy greater autonomy relative to their Westminster counterparts. It is this relative autonomy from parliament, advocates claim, which is the main virtue of a presidential system in a Pacific context, as, despite the absence of institutionalised political parties, the executive remains immune from shifting allegiances on the floor of the house. At least, that is the theory. In practice, presidents require parliamentary approval for legislation, budgets, appointments and so forth and so leaders in Palau and FSM still find themselves routinely frustrated once in office as ‘ambition’ is made to ‘counteract ambition’. Presidents of FSM in particular can be severly hamstrung by the strength of state influence in the legislature. By way of contrast, in Samoa, where the ruling party has been in power for more than 30 years, Westminster provides the Prime Minister of the day both a stable cabinet and control of the legislative agenda. However, given that this is the Pacific exception rather than the rule, some commentators consider that it is better to trade the unstable status quo for frustration once in office. There are several other features of presidential systems, including issues relating to national unity, accountability, and cabinet expertise, that I could canvass here[i] but the important point to note is that arguments for and against institutional design in the Pacific tend to hinge on the specific goal reformers seek to pursue. Executive instability in the Pacific is said to breed corruption as MPs give and take bribes in a bid to secure coalition numbers. Conversely, we know from experience that the longer governments stay in power the more likely they are to fall foul of corrupt practices. As such, despite the weight of arguments on both sides, it remains unclear if presidentialism offers Pacific nations a quick fix or a long-term solution to the myriad of governance challenges they face in the 21st century. [i] For a more comprehensive survey see Henderson, J (2006) ‘Would a presidential system be better for Melanesia?’ Pacific Studies no. 1: 50-66. This entry was posted in Pacific Islands and tagged Pacific Islands, president, Presidential Power on April 28, 2014 by Jack Corbett. Tanzanian President Jakaya Kikwete used his 2011 New Year’s address to announce a long-awaited constitutional review, the first since Tanzania became a one-party state in 1977. Three years on, the process is now on the brink of collapse, mired in partisan gridlock and controversy over the status of the union between mainland Tanganyika the island of Zanzibar. Current troubles aside, the constitutional review got off to an auspicious start. Shortly after the New Year’s announcement, Parliament passed the government Constitution Review Bill, and in April 2012, Kikwete won praise for his choice of appointees to the Constitutional Review Committee (CRC), the body tasked with drafting the new constitution. In June 2013, the Vice President unveiled a first draft, which was then reviewed by the constitutional councils of each district. In December, the CRC presented a second draft constitution, now subject to approval by a Constituent Assembly (CA) before being put to a popular referendum. Such positive elements are lost, though, in the political storm that is now raging over the status of the union. This controversy dates back to 1964 when Tanganyika and Zanzibar, two former British colonies, joined to become the United Republic of Tanzania. The result was a two-government structure. The government of Tanganyika merged with the Union government while Zanzibar retained its own administration. The second draft constitution proposes to replace this two-tier system with a three-government structure, restoring the Tanganyikan government and replacing the Union government with a less powerful Federal administration. CCM and President Kikwete did not hold this line for long. Concern over undue party influence exploded shortly after the CA convened to adopt its Standing Orders in February 2014. Members fiercely debated whether to allow closed voting, which advocates argued is essential to the assembly’s independence. President Kikwete exacerbated these initial tensions with his inaugural speech before the CA, which he used to convey a partisan message in favour of a two-government structure. That was in March. The situation has since deteriorated further. Opposition members have denounced the CA Chair for allowing CCM to dominate committees; mudslinging and vitriol continue to disrupt debate; and in the latest move, the opposition coalition, Ukawa, resolved to boycott the assembly pending reconciliation over the union issue. With partisan clashes unlikely to abate, the current constitutional review process is beginning to align with a history of CCM-led, top-down reform. The opposition parties might have played their cards better, but the overriding impression is one of CCM dominance and presidential meddling. This situation casts doubt on the basic motivations behind the President’s New Year’s announcement back in 2011. Kikwete’s then newfound enthusiasm for constitutional reform came at a time when the CCM government was working hard to burnish its democratic credentials. The effort was richly rewarded with a state visit from Obama in 2013, during which he praised Tanzania for its commitment to good governance. Critical observers were quick to counter with examples of deteriorating press freedoms and human rights abuses. The criticism didn’t stick, though, and with Kikwete touting its progress before foreign dignitaries, the constitutional review was another score in the government’s favour. The review process is itself now tainted with abuse and threats, however. Partisan controversy aside, members of the disbanded CRC are reportedly being harassed by state security forces while Chairperson Warioba is under constant surveillance. What started out as a promising reform effort has reached an impasse. The new constitution’s enactment was initially scheduled for April 16 2014, the 50 year anniversary of the Union. The jubilee date will nevertheless be imbued with a different kind of symbolism. Divided and fraught, the CA is set to adjourn on April 25 until August, leaving a question mark hanging over Tanzania’s half-century old Union. This entry was posted in Africa, Tanzania and tagged Africa, Constitution, Constitutional Reform, president, Tanzania on April 25, 2014 by Michaela Collord. This entry was posted in New publications on April 24, 2014 by Robert Elgie.